Cory Jones, one of our Directors will be at the Scottish Dental Show 2019, speaking to Dentists, Dental Practitioners and Practice Agents about their first aid requirements. Dental Care Staff are required to do annual CPR & AED training as part of their Medical Emergency CPD. Cory will be helping Dentists and Dental Care staff understand their responsibilities, and how best to go about satisfying the requirements. As well as this, Cory will be carrying out live AED demos using a training version of one of the fantastic Cardiac Science Powerheart C5 AEDs that we sell to our clients. These demos will help attendees get a sense of how easy it is to use and AED. They will also help to dispel some of the myths around AED use, and remove the fear of getting it wrong. 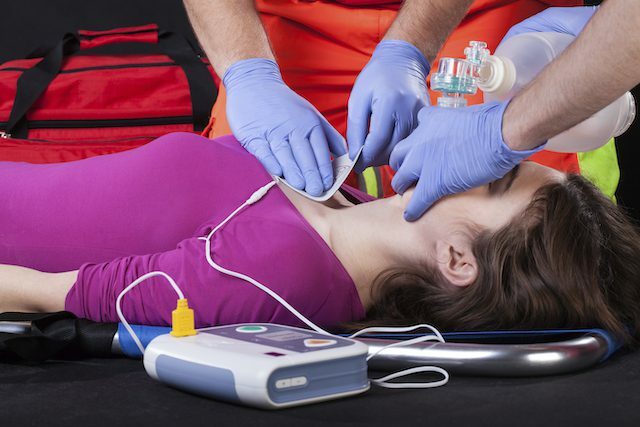 Using an AED promptly can drastically improve the chances of survival in cases of Sudden Cardiac Arrest. By helping to make AEDs more readily available in the community, and by training more people how to use them, the survival rates will improve. If you are a Dentist, or work in a Dental Practice, why not head along to the Scottish Dental Show at Braehead in Glasgow, on 26 & 27 April 2019 to find out more. You can also register for a free copy of our Digital First Aid at Work manual while you are there! Alternatively, contact us directly to find out about purchasing an AED, or doing some CPR & AED training at your practice. Dentist Practices – Does a Dental Practice need an AED on site?